God thus “remembered” Noah and caused the waters to abate (Genesis 8:1). God also “remembered” Hannah (1 Samuel 1:19), and the promise of a son became an actuality….In Jeremiah 31:34, for God not to remember means that no action in the new age will need to be taken against sin. The forgiveness of which this verse speaks is so comprehensive that sin has finally been dealt with in the experience of the nation and the individual believer. Dealing with sin so that it would be remembered no more meant the creation of a new heavens and a new earth. The old ones would be rolled up like a scroll and thrown away. The Kingdom means God’s Spirit would be poured out “on all kinds of people regardless of gender, age, or station in life” (p. 10). Schaefer quotes biblical studies professor James M. Hamilton, Jr. in saying, “The Old Testament teaches that God was with his people by dwelling among them in the temple rather than in them as under the new covenant” (p. 10). The Kingdom means that “all nations would stream to the mountain of the Lord and the temple would be a house of prayer for all nations”; “God would be present with his people forever in this temple, and God’s glory would be revealed to all humankind” (p. 11). The Kingdom means abundant provision and joy (p. 13). Isaiah 25:6 says, “On this mountain the LORD of hosts will make for all peoples a feast of rich food, a feast of well-aged wine, of rich food full of marrow, of aged wine well refined.” If God cooks for you, you can be sure it will be a meal worth rejoicing over! Finally, the Kingdom means death would be destroyed. “He will swallow up death forever,” says Isaiah 25:8. Now perhaps as you’ve read the New Testament you may have thought of Jesus as just traveling from place to place doing random acts of kindness. Getting kittens down from trees, helping old ladies cross the street, not cursing when he hits his thumb with his carpenter’s hammer. But now that you’ve heard about the eighteen ways in which the Kingdom of God would rock the world off its hinges…do you see that in his ministry Jesus was carefully following a meticulously laid out plan to embody every one of these eighteen ways? In fact, before his death and after his resurrection, he even said that this is exactly what he was doing. 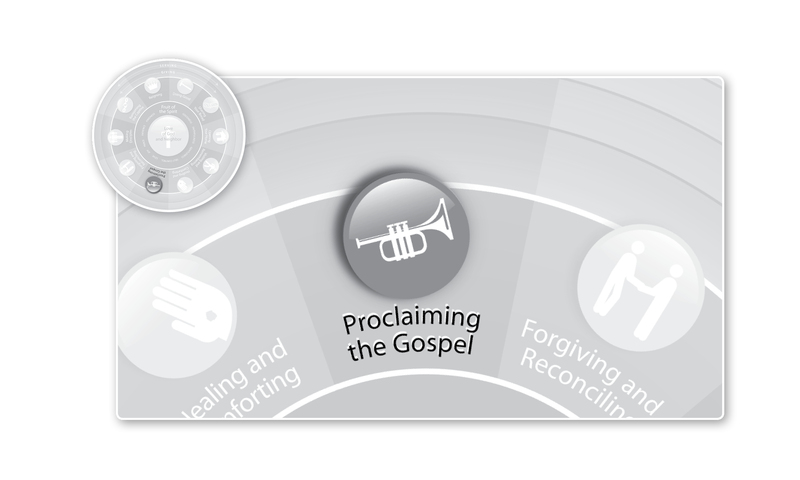 When we proclaim the gospel, we often focus only on the personal forgiveness of sins and individual destiny after death of our hearer because we ourselves are slow to believe all that the prophets have spoken. Jesus’ words, not mine, by the way. We’ll take a closer look at this in our next post. This entry was posted in Uncategorized and tagged Christianity, Church, Discipleship, Gospel, Jesus, Proclaiming the Gospel, Salvation, Theology, Whole Life Offering, Work of Mercy. Bookmark the permalink.